The set comprises two each soup spoons, forks and knives. 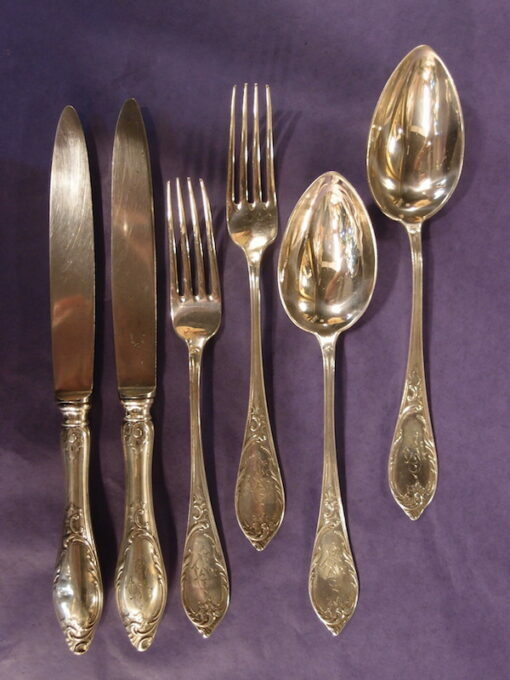 Hallmarked for Warsaw, 1908-1917, and 84 zolotink silver (87.5%), the set is probably by Moses Princenthal. The knives are 26 cm long. 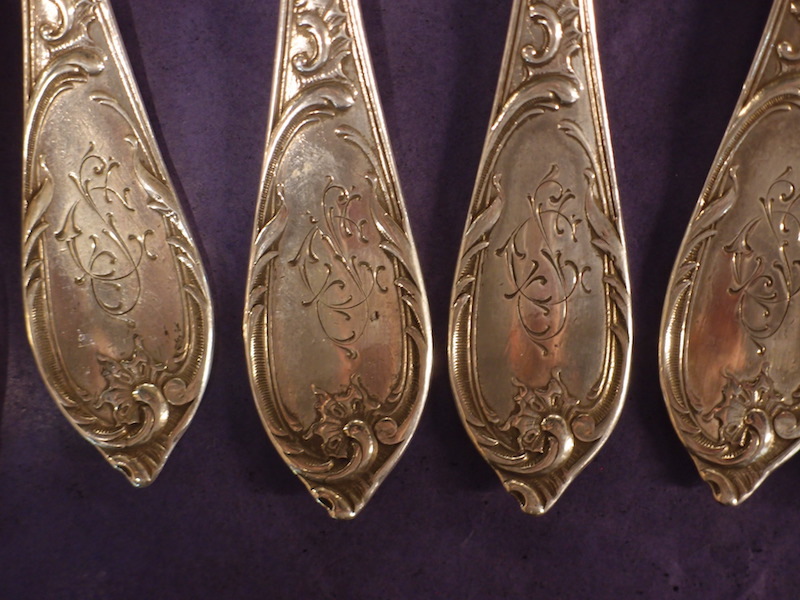 The spoons and forks (4 pieces) weigh 304 grams, so quite hefty.